For the second time this season, Wolfgang Kaufmann took to the track with the Cup& Tourenwagen Trophy, this time in the Ardennes. 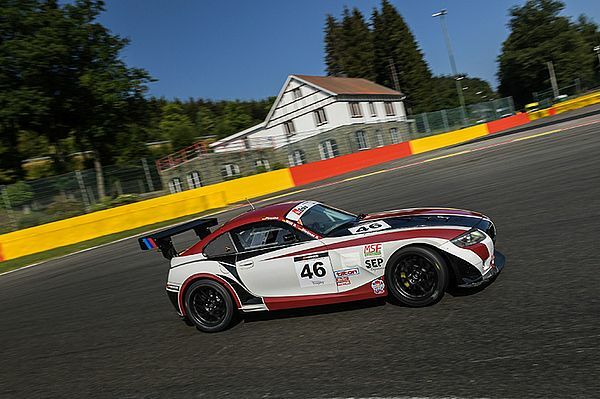 At Spa-Francorchamps, a BMW Z4 M was again waiting for the German racer. 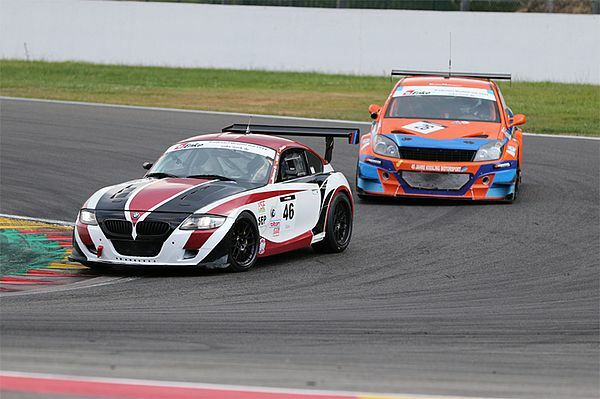 „This Z4 is a modified production car, even still road licensed; for this season, it has been significantly upgraded by Black Panther Racing“, Kaufmann said about his office for the weekend. „Our competition in our class by and large use purpose-built racecars with more power and more extreme racing suspensions.“ Not that any of it will deter a Piranha! As always, attack was the best defence. 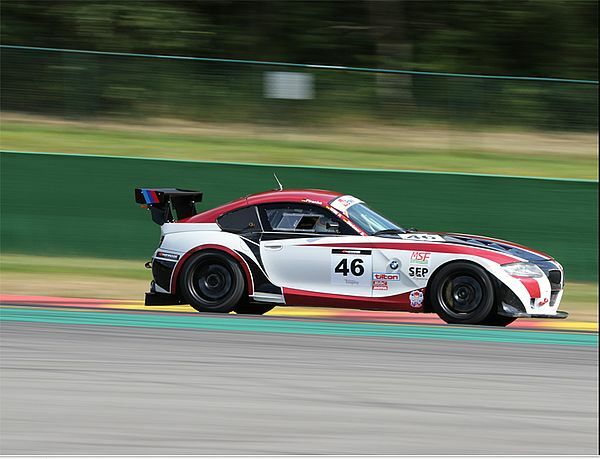 At about 7 kilometers in length, the Spa-Francorchamps circuit is a track for seasoned veterans of the sport. In qualifying practice, Kaufmann wrung the BMW's neck; a lap time of 2.43,868 minutes was good enough for 3rd place on the starting grid of the 11 lap sprint race on Saturday afternoon. „The start went well, even if two of the more powerful cars did get by, for a while“, Wolfgang Kaufmann describes the initial phase of the race. Even before the end of the first lap, „Piranha“ had fought his way back into P3, passing a Porsche 996 Cup and a very powerful Opel Astra. „But the cars in 1st and 2nd place were out of reach today. Those are machines from WTCC, the touring car world championship.“ Kaufmann secured 3rd position and again, just as at the Nürburgring, got to visit the winners' podium. The summer break will be short: at the AvD Oldtimer Grand Prix at the Nürburgring on August 10-12, Wolfgang Kaufmann will once again drive for the successful Porsche Kremer Racing Team.